Welcome to this month’s Carers Bulletin. 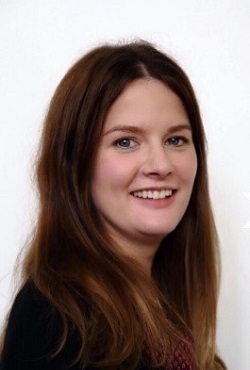 I am really pleased to be introducing myself as the new Joint Carers and Engagement Lead. Some of you may already know me, I have worked as a Social Worker within the All Age Disability Service and the Community Learning Disabilities Team for the last 6 years. I am really passionate about recognising and supporting the invaluable role carers play across the city. Having worked closely with families, carers and people with support needs I know there is a real appetite and drive for change in the way that adult social care is developed and shaped. I know that the best solutions come from those who have real life experiences and I want to look at the ways people can become involved in sharing those experiences and help us inform the way forward. Over the next couple of weeks I am hoping to get out and visit some of the projects out there supporting carers and see the good work taking place across the city. I am looking forward to working with all you along the way. As part of the Recovery and Wellbeing Academy programme of training, Coventry and Warwickshire Partnership Trust are hosting new training for carers across the city. The first course is due to take place on 21 November 2017. This course aims to support carers with the psychological impact of caring, supporting emotional well-being and hopes to reduce carer stress. The course is open to anyone over the age of 18 who has a caring role. The Recovery and Wellbeing Academy hold a wide range of courses across the city. They are open to anyone over the age of 18 living in Coventry and Warwickshire who want to better manage or understand their mental health and well-being. Recovery & Wellbeing Academy or contact The Recovery and Wellbeing Academy on 024 7622 9988. Issues around dementia don’t just affect adults. Many children will have a relative or a family friend who is living with the condition or who is a carer for someone. 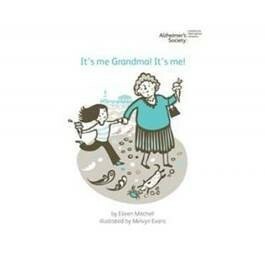 There are some great child-accessible books and videos around that can help to increase understanding about what dementia is and how it can affect people. These resources can also help to open up conversations about how the young person is feeling, their understanding of their and others’ experience and give them an opportunity to ask questions. Dementia Friends has recently launched Memories with Grandma - YouTube‘ which is a new animation aimed at raising awareness for 7 – 11 year olds. If groups use it together with some other provided activities they can help to create our next generation of Dementia Friends, committed not just to understanding something about dementia, but positive action to support people affected by dementia in our community. Each year Carers UK hold Carers' Rights Day to bring organisations across the UK together to help carers in their local community find out about their rights and how to get the help and support they are entitled to. Making carers aware of their rights. Every year, more than 2 million people become carers. Many struggle to navigate the maze of services and entitlements, and miss out on financial and practical support. And it’s not just people who are new to caring – even those who have been caring for years sometimes aren’t aware of their entitlements. Letting carers know where to get help and support. Caring can present all kinds of challenges. We want every carer to know where to turn for advice, information and support, whether in their local community or online. Carers Trust Heart of England will be providing information and advice on the day. The Council and the CWPT will be promoting the day ensuring their employees who have caring responsibilities are aware of the policies that can support them.